The HRCA medical team is the third fastest team of volunteer doctors in responding to emergencies. Since 2008 they have been involved in many international medical missions around the world. 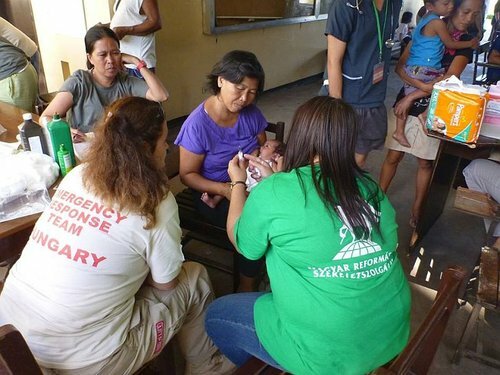 In 2013, two days after devastation of Typhoon Haiyan in the Philippines the team was already on the spot. In Bangladesh, they also want to learn the best way to help: They plan to set up set up a water purifying installation and shipping food to the Rohingya refugees in the future. On 9 July, the HRCA Medical Team of 11 persons will travel to Kutupalong, Bangladesh, one of the world’s largest refugee camps. The HRCA team will be working under the coordination of the Red Crescent and the Finnish Red Cross in the local hospital tent. The team consists of doctors and nurses with experience in emergency medical care. The volunteer doctors include anaesthesiologist and intensive therapist, paramedic, family doctor, dentist, maternity nurse, physical therapist, nurses as well as two surgeons who are able to conduct emergency operations when necessary. The Honorary Consul General of Bangladesh in Hungary and the Action for Defenseless People Foundation had an important role in the preparations of the mission trip. One colleague of the Foundation will also join the medical team, accompanied by the Executive Director of HRCA Mr. Márton Juhász. The Executive Director thinks of this upcoming journey to Bangladesh not just as a humanitarian aid program, but as a mission. “We go to heal the injured, but with our work, dedication and smile – as well as with the lamb and the flag, the symbol of the HRCA, on our uniform and equipment – we wish to communicate the love of Christ to them. The question may come up what Christian organisations do among Muslims persecuted by Buddhists. As Márton Juhász says, “if we are on a mission we cannot make any distinction. We can’t show favouritism. As Disciples of Christ, we are called to set an example in serving the most vulnerable and embrace our responsibility and duty to serve as Jesus teaches us. Despite the fact that many international organizations are also working in the camp, the level of medical care provided is still inadequate. Hygiene is poor, and due to the most recent monsoon, epidemics have risen, requiring intensive medical attention. “For a long time we have been thinking about how we can help in this location, and we think that the most useful way of helping is to offer our experiences and support on the spot. 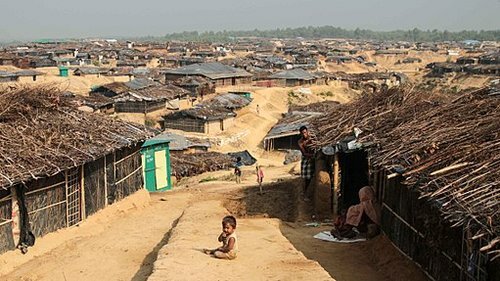 It is hard to just stand on the sidelines while a large number of people can only get minimal medical care… One third of the refugees are children and there are many pregnant women as well, because the soldiers of Myanmar have raped masses of Rohingya women in order to demolish the genetic stock. Some of these women are giving birth now. 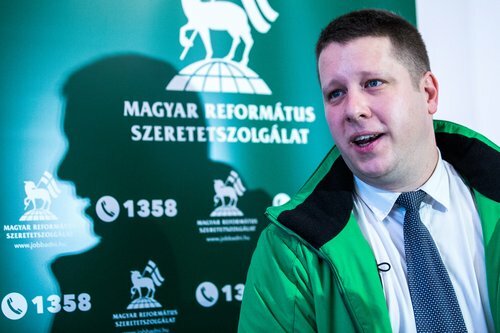 Around six hundred children are being born in refugee camps per month.” – said Dr. Ferenc Sári, head of the HRCA Medical Team in an interview with the Hungarian Reformed Newspaper. Over 600,000 Muslims and 500 Hindus have fled to Bangladesh from the Rakhine state of Myanmar, and it is reported more are waiting to flee. The influx started 25 August 2017 and such a sudden inflow of people has put Bangladesh under huge pressure, which could cause massive social and economic disorder. The situation is too devastating and is beyond manageable. The world's humanity has been shaken by violence that has killed more than 400 people, burned 2,600 houses, raped and assaulted hundreds of women, and drowned more than 80 people who were fleeing the violence. The situation is growing hostile to the Rohingya in Bangladesh, as the country has limited resources to sustain those arriving. Bangladeshi's feel the increased burden and feel the social and economic problems growing in the areas where Rohingya have fled. UN Secretary General Antonio Guterres has warned of the risk of ethnic cleansing and he thinks that the refugee crisis of the Rohingya minority in Bangladesh is one of the most critical refugee crises in the world. Address: 1146 Budapest, Hungaria krt. 200. Name of the Bank: CIB BANK Zrt. Address of the Bank: 1027 Budapest, Medve u. 4-14. Please write the transfer to: "Mission Bangladesh"